Image source: The New York Public Library. 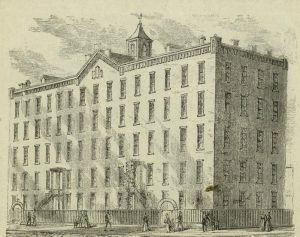 The School Sisters of Notre Dame operated St. Joseph’s Orphanage, located in Yorkville, a neighborhood of Manhattan’s Upper East Side from 1859 until it closed in 1918. The sisters who worked at the orphanage went to great lengths to provide a clean, safe home for the children who lived there. Unfortunately, some things were beyond their control. Fires were common in 19th century America for many reasons, including an abundance of wooden buildings, the use of lanterns and candles and a lack of safety plans. The chronicle for St. Joseph’s lists many fires, great and small, that occurred throughout the years. What follows are excerpts from the chronicles that describe some of the fires that occurred. Note: Although all the children made it out safely, the writer goes on to say that an 8-year old boy ran back into the house to get dressed. He was overcome by the smoke and was found by the firemen. He died that evening. Illnesses, such as measles, diphtheria, smallpox and tuberculosis, were common in 19th century and early 20th century America. Prior to the advent of antibiotics, vaccines and even an accurate understanding of how disease spread, these types of illness spread quickly and were often deadly. 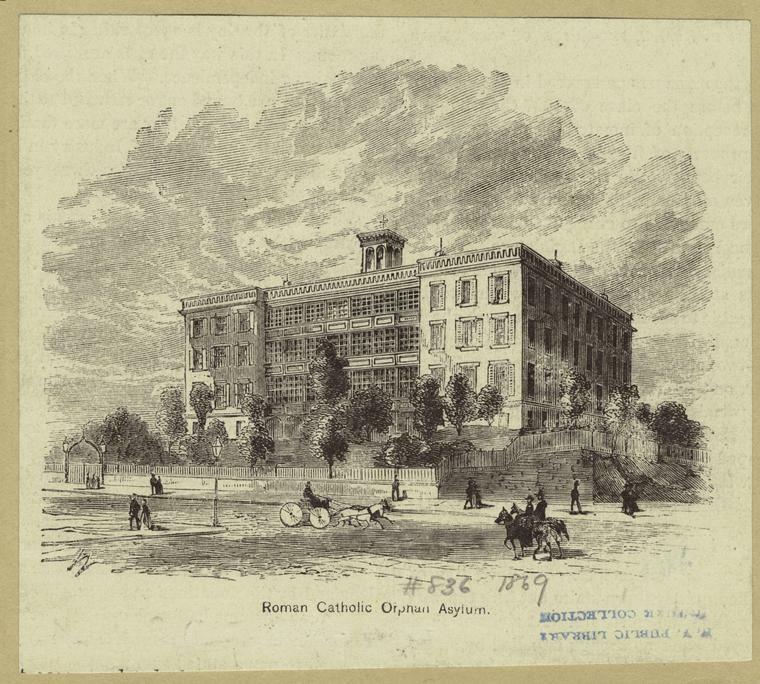 St. Joseph’s chronicles are filled with entries describing various illnesses that swept through the orphanage. The sisters and the orphanage doctors did their best to care for the sick children, but their efforts were not always enough to save a child’s life. St. Joseph’s Orphanage closed in 1918, but the processing of closing began several years earlier. The last chronicle entry nicely sums up life at St. Joseph’s.